1) 24 Hours to End Fossil Fuel Subsidies: Rio+20 News Alert! 2) David Blume Interview UPDATE! There is a proposal to end fossil fuel subsidies hanging in the balance at the Rio Earth Summit -- and your voice could make a big impact in the next 24 hours. Right now, oil exporters like Venezuela and Saudi Arabia have succeeded in pushing forward a weak draft agreement that would do nothing to cut polluter handouts, which amount to an estimated $1 trillion dollars. Secretary of State Hillary Clinton is arriving in Rio today and has the power to improve the text by adding a clear deadline to phase out fossil fuel subsidies by 2015. Thanks to Monday’s TwitterStorm, we now have the Obama Administration on the record supporting our call to action for Rio+20 -- the White House and top Democrats like Nancy Pelosi all tweeted their commitment to #endfossilfuelsubsidies. Now, we need to hold them accountable to that commitment and turn their tweets into action. Secretary Clinton is giving an important speech at the Rio+20 world conference on Friday -- and we need to send her a message before she does. In the last week, over a million people have signed petitions calling for an end to fossil fuel subsidies, and on Monday, our ‘Twitterstorm’ generated over 100,000 tweets to make this the top trending issue worldwide. Thanks to your tweeting, signing, and posting, we harnessed the power of the web and cut through the noise in Rio -- and have made it clear to world leaders that ending fossil fuel subsidies has a clear public mandate. Make no mistake, the fossil fuel industry and their allies have already succeeded in mostly wrecking the Rio process -- these meetings won’t come close to achieving the transformative agreements we need to save our environment and support sustainable development. But there’s still time to stick it to these corporate criminals and stop our money from funding their climate destruction. 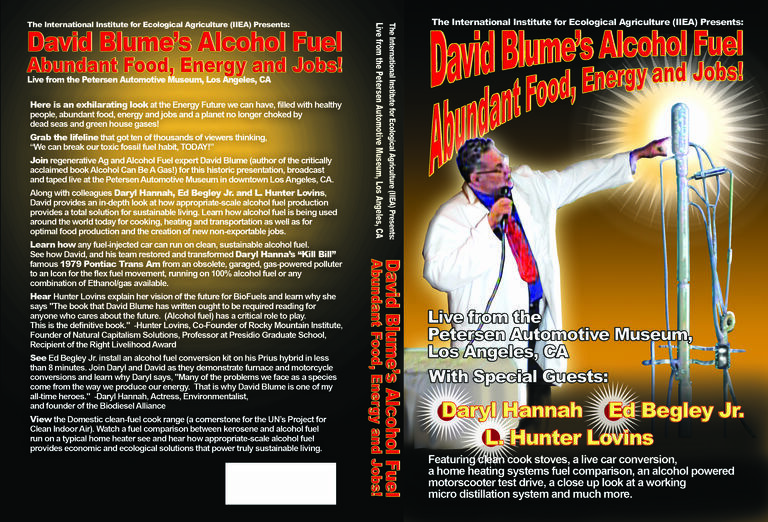 2) David Blume Radio Interview UPDATE! David was interviewed by Curt Linderman on Natural News Radio last Saturday 6/16 while he was presenting at the Chicago Health and Freedom Expo. Following is a link to the archive page. Listen to David’s interview, check some more out and share the link with your friends and colleagues! It is just that easy and together we can succeed! Are you concerned about ever increasing fuel and energy bills? Are you tired of seeing the Oil Cartel claim bigger and bigger quarterly profits at the expense of our personal incomes, environment and health? Are you tired of seeing our money and manufacturing jobs get exported out of our communities and country? Do you believe abundant food, fuel and jobs are the REAL Homeland Security? You are not alone and you can be a key part of the energy independence revolution that is taking place today! Please attend the following open-to-the-public talk to learn how we can transform our energy and economic future. 4) Help support David Blume and IIEA’s work! Give your successful graduate a gift of knowledge and hope that keep giving. 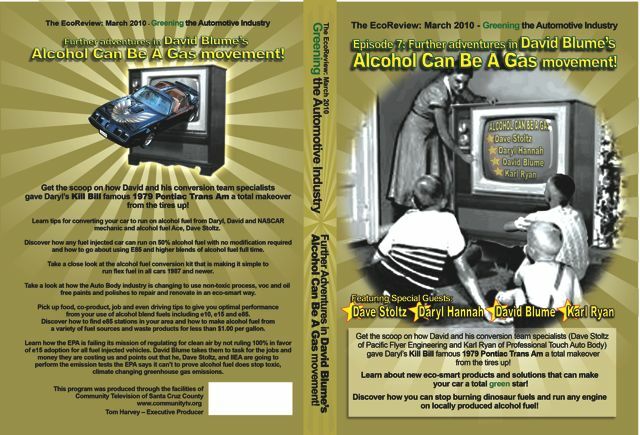 Prepare them for the real world with a copy of Alcohol Can Be A Gas! or one of our new DVD’s. 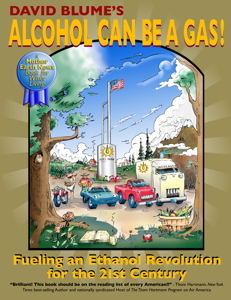 Help spread the truth about appropriate scale bioethanol’s potential to solve our energy problems for now and the imaginable future. Select from our special offers below. Together we can transform our energy future.